I Have Asked This Before: Where's Betty?? It is May, 1932. Bob and his friends are leaving the Cocoanut Grove in L.A. Yes, that is Ms. Crawford holding onto Bob with one arm, and her husband Doug Fairbanks, Jr., the other. On the far right is Heather Thatcher, Bob's co-star in But the Flesh is Weak, which was filmed in February of that year. Wonder if it was really that cold in L.A. in May or if Bob and Doug are having a fashion competition? Note, they are both wearing berets ... too much! Back on February 27th, I used the photo below of Bob and his adorable pal. I purchased four more Ross trade cards from the same vendor, all for the outrageous price of $.99 each! Anyway, keeping in mind these are all 1-1/2" x 2-1/2" ... nifty photos. 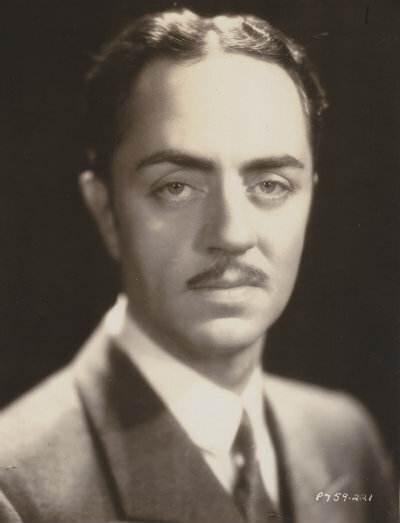 It is difficult for me to think of William Powell working at any studio other than MGM. 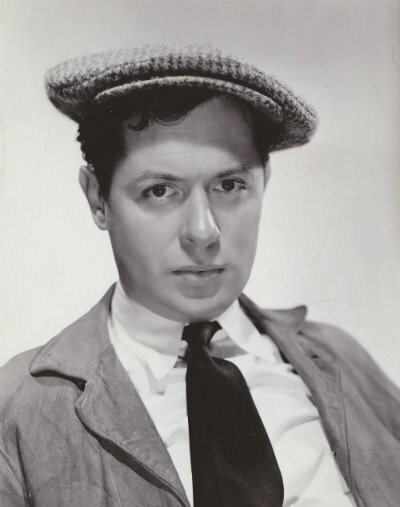 But he started at Paramount and left in 1931, having become dissatisfied with the roles he was being given. 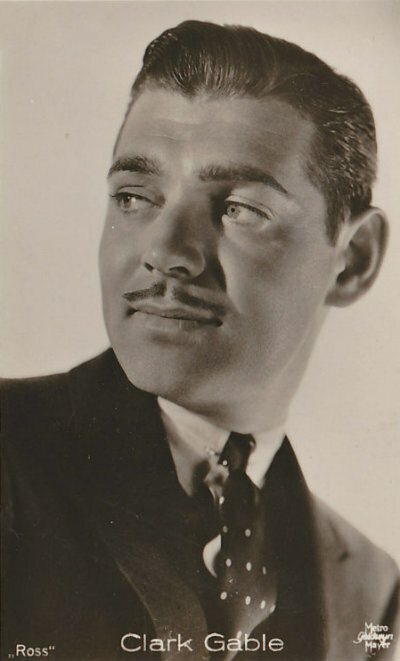 The same thing happens after three years at Warner Bros. Then MGM welcomed him with The Thin Man (1934) and a Best Actor nomination. Finally, Mr. Powell found his happy home. And to think Bill began his career playing villains. What a waste. "...More Stars than the Heavens!" 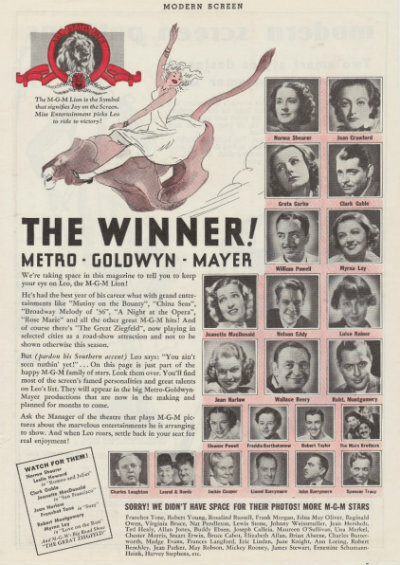 MGM was the biggest studio in the 1930s, and they did not let you forget that. And a lot of the big stars of the time did actually work for the studio. Below is a promotional ad for the upcoming 1936 season. Note our Bob is still in the top tier, if the last one! Hey, the pecking order was a big thing for the stars, as it is in most situations. You know Crawford was upset Norma was in the prime spot rather than her. In the ever-changing world of the movie business, which project below was changed the most? 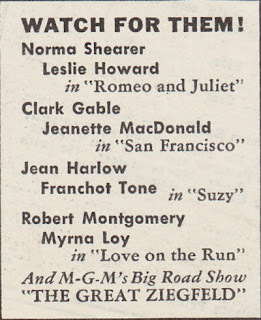 Yes, Bob and Myrna being replaced by Joan and Clark in Love on the Run was a fortuitous change in casting for everyone involved. Joan and Clark got to work together in another movie, and Bob and Myrna made Petticoat Fever instead. Petticoat was by far the better movie and our duo was perfect for the roles. It's October 18, 1940, and Bob has just given an oration at a Willkie for President function. He looks like he felt he did a good job. The lady behind him doesn't seem quite as impressed. I think she is just more interested in Bob himself. Poor Bob ... He spent a lot of time and effort working in presidential campaigns. He worked for Willkie in 1940 and lost. He campaigned for and with his good friend Thomas E. Dewey in 1948 (Lt. Commander Bob was otherwise busy in 1944), and lost again. His third time was a charm, working for Eisenhower's election in 1952. Bob Had His Own Special "Zinc", For Sure! 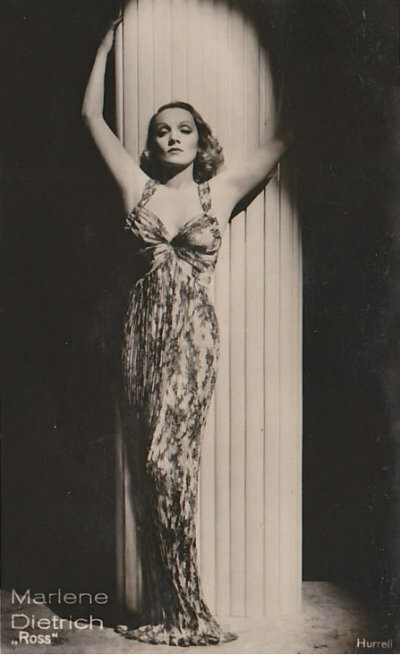 This photo appeared in a French magazine in 1935. 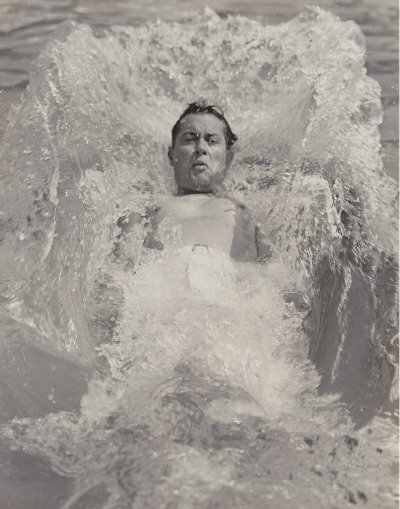 It's a 1929 Bob, back when he was into wearing all white during his leisure activities. 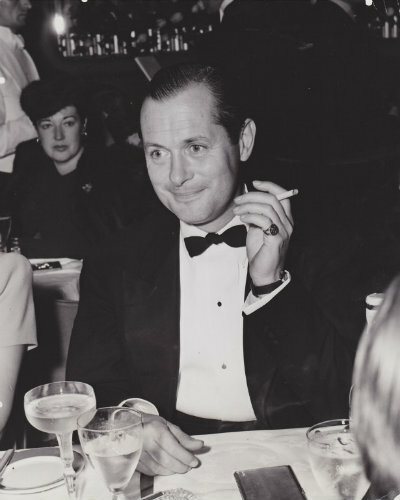 A translation of the photo caption: "A fervent sportsman, Robert Montgomery has his own special "zinc". Does anyone out there know what "zinc" meant in 1935 French slang? 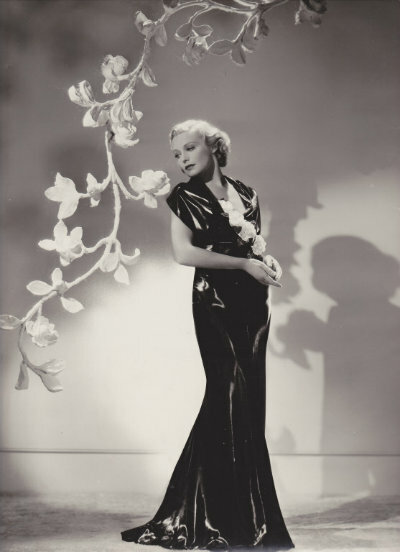 Madeleine Carroll was born on February 26, 1906. She was a classic beauty, if on the icy side, which earned her the title of the "iceberg maiden". 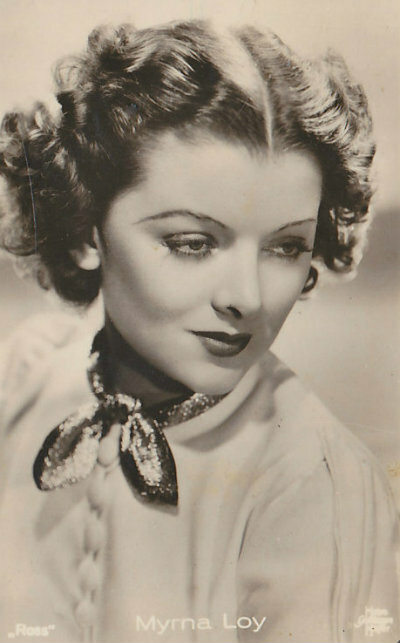 She was Britain's top female performer during the 1930s, chosen by Hitchcock to star in his 1935 classic, The 39 Steps. Yes, the first of Alfie's blonde leading ladies. 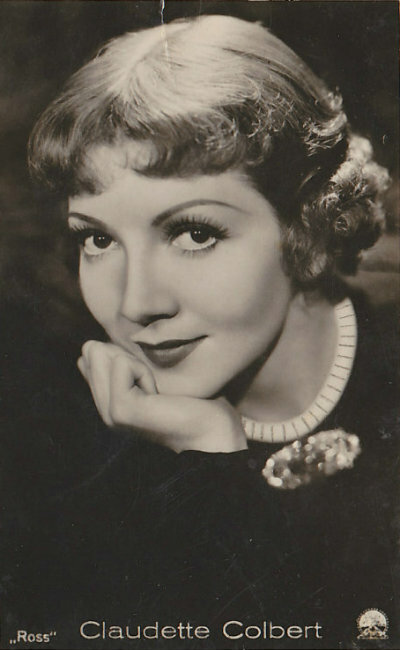 Her success continued in Hollywood, earning $250,000 in 1938. Ms. Carroll had a feature in my favorite Bob war story. As you probably know, Bob joined the American Field Service and drove an ambulance in France beginning June 6, 1940. His "tour" was brief (as was France's defense against Germany), lasting just a few days. Not being able to replace the damaged ambulances, resulted in Bob and others being sent back to Paris. As it became evident that the Germans would soon reach Paris and conquer France, Bob and thousands of others scrambled to escape. 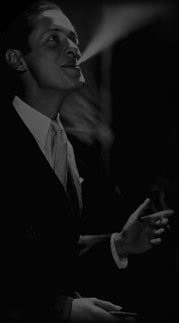 While Rick and Ilsa are planning on taking the last train out of Paris, our Bob finds a pilot with a private airplane who will fly him to Lisbon, Portugal on June 12th (maybe the 13th). On June 14th, Paris falls to the Germans ... as in getting out in the nick of time! 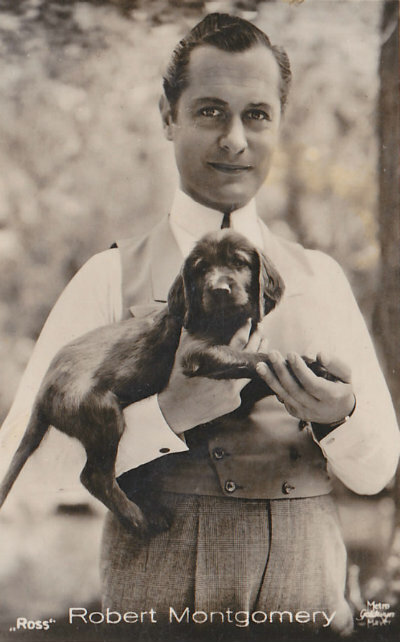 Meanwhile, before Bob left Paris, he heard that Madeleine Carroll was stranded in Nice, France. Bob, our hero, of course made a flight detour to rescue Ms. Carroll. 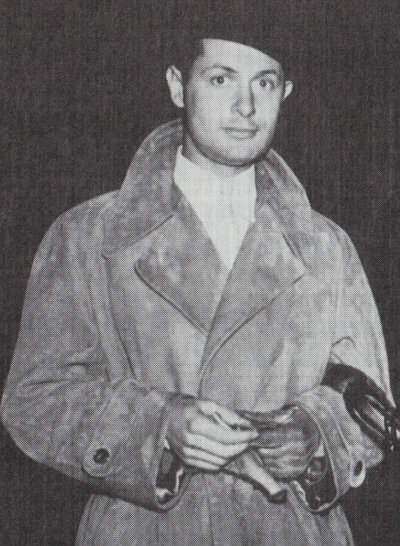 From Lisbon, Bob was able to fly back to New York City on the last commercial flight of the Trans Atlantic Clipper, which was taken over by the military for the duration of the war. A most fortunate, and extremely expensive escape it was for Mr. Montgomery. 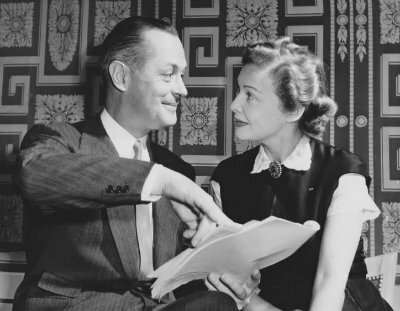 Ten years later, Ms. Carroll returns the favor, agreeing to star in the first broadcast of Robert Montgomery Presents on January 30, 1950. This was at a time when big name Hollywood stars would not dare appear on television. It had to have been a scary experience for her to do a live drama in the strange medium. Probably scarier than that flight with Bob!